Vector Timing offers event timing services using the ChronoTrack system. You must be wearing your "B-Tag" correctly in order to be timed. 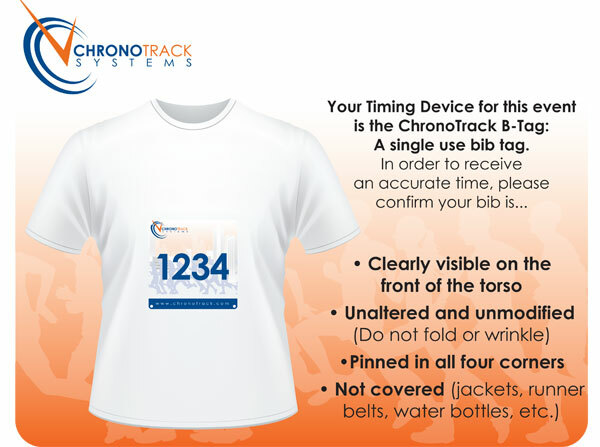 To attach your timing tag, please follow the instructions below.